You don’t have to choose between tuna and egg salad. Enjoy them together with celery, pickles and the bite of tarragon. Sponsored by Davidsons Safest Choice Eggs™. I have been an avid tuna lover all of my life, which is funny because I can’t get any of my kids to eat the stuff! When I was single and had cats instead of kids, I’d crack open my can of tuna and my kitties would run from all parts of the apartment to lick the scraps I left behind for them. 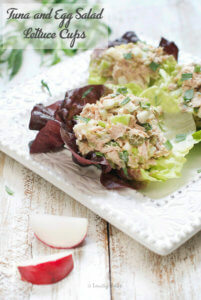 Over the years, my love for tuna hasn’t swayed at all and my basic recipe hasn’t altered either. With some meals, I like to rework and experiment, but for others, there is one combination I like and one only! Most people choose tuna salad or egg salad, but I like to combine the two. It’s not gross, it’s not weird, it’s actually quite delicious! I mix one can of tuna with pickles, celery and tarragon (for bite!). Then gently mix in the chopped hard boiled egg with mayo and I start nibbling before the bowl makes it to the table. As I’m still on my resolution path to eating healthy and exercising, I have taken bread (mostly) out of my diet. 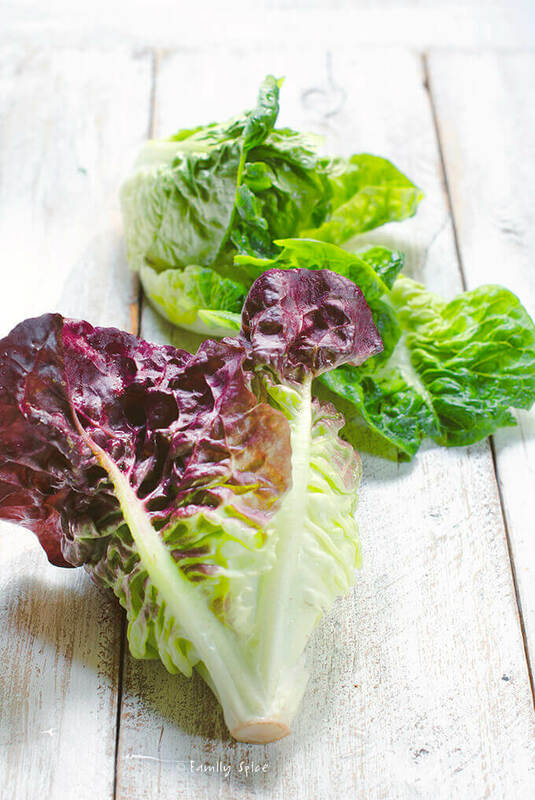 I prefer to use these gorgeous baby lettuce leaves for wraps or cups for my tuna and egg salad. Now, let’s talk herbs. I’ve seen tuna salad with dill and parsley. Don’t be afraid of tarragon. It has a bold, slightly peppery flavor that really gives any dish kick. I never tried fresh tarragon until after I got married. Persians love their fresh herbs, and that was how I was introduced to tarragon. Now I use it in everything, from breakfast eggs to sandwiches, salads and anything else I can think of – including that Kale Pesto I made a few weeks back! How about you? 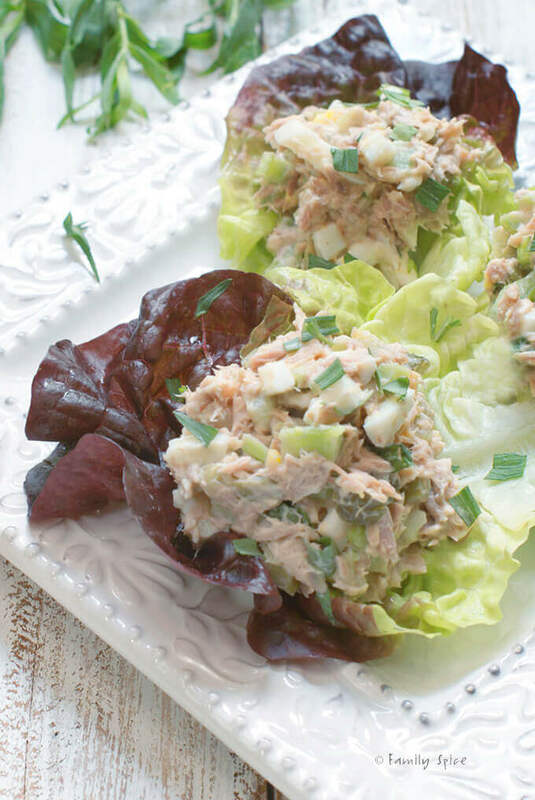 Are you a tuna salad eater or an egg salad eater? What is your secret ingredient that makes your salad magical? Cover the pot and bring to boil. Boil for approximately 3 minutes, then remove from heat and let egg continue cooking in the hot water for 2 more minutes. When egg is done cooking, remove from heat and place in a small bowl filled with cold water and ice. When egg is cooled, using a knife or an egg slicer chop and gently stir into the tuna mixture. 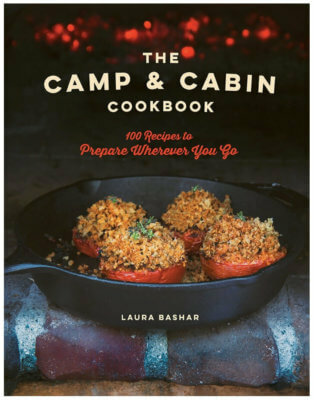 Serving Suggestions: Serve on a bed of lettuce or with your favorite bread. Disclosure: I did receive a stipend from Davidsons Safest Choice Eggs™ to develop a salad recipe using their product. The story I have written is all true, and the opinions are truly mine. If I didn’t like it, I wouldn’t blog about it! I love both tuna salad & egg salad… separately AND together! 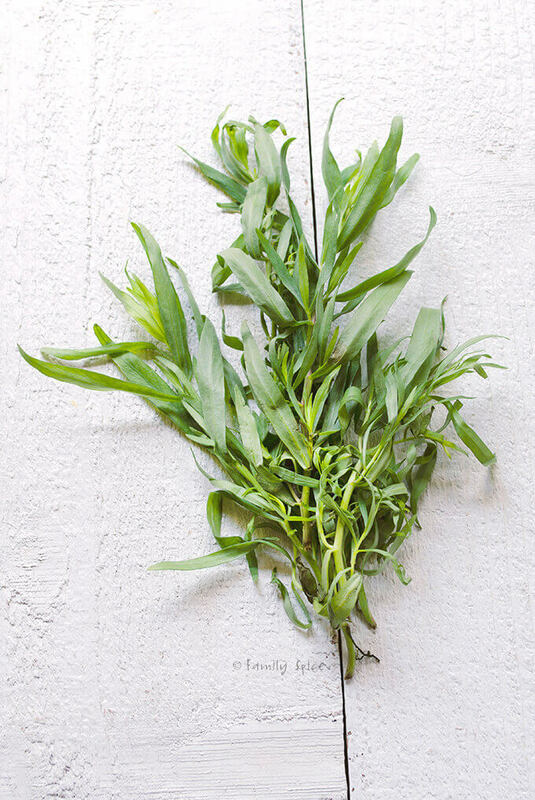 I haven’t used tarragon, mainly because it’s hard to find here, at least in my area. My tuna salad is made special by adding some pesto… YUM! I always add onion & a spot off hot mustard to egg salad. I love your use of lettuce cups too! I have just started to quit sugar & stop eating most bread so lettuce cups are going to come in handy. A few weeks back when the weather was hot we had a wonderful dinner of rare roast beef wrapped in crispy cold cos leaves. Delicious!!! My mom always put a chopped hardboiled egg in her tuna mix. My kids think it’s gross but they will eat plain tuna (mayo, diced dill pickles). I like to add diced celery too. hello, the only tuna salad ive ever eaten, has had egg. but my egg salad only has eggs. I like both tuna and egg salad, but I confess I’ve never mixed them. Sounds worth trying! Thanks for the idea. I love this: together, of course! Have not used pickle nor tarragon, but shall try! My weakness is some form of onion with this – often chives or garlic chives 🙂 !